We’ve created SKIN Interactive Performance concept in 2006 and developed it since then. The project invites the public to an interactive meeting with a group of artists: dancers, musicians and video artists, who facilitate the performance. The group of artists has previously worked for about one week with us in the workshop TOOLS for the communication & interaction, which prepares the event.SKIN is designed on the basis of a proposal that is challenging both: the artists and the audience; it generates a frame for non-verbal communication, based on the existence of a common element to all the bodies: the skin, as the organ that can perceive communication in dance, through space and through touch. SKIN provides to the participating artists and to the audience the framework to build a space of encounter and construction of reality and to take a new look to the dancing body, from an individual and a collective experience. 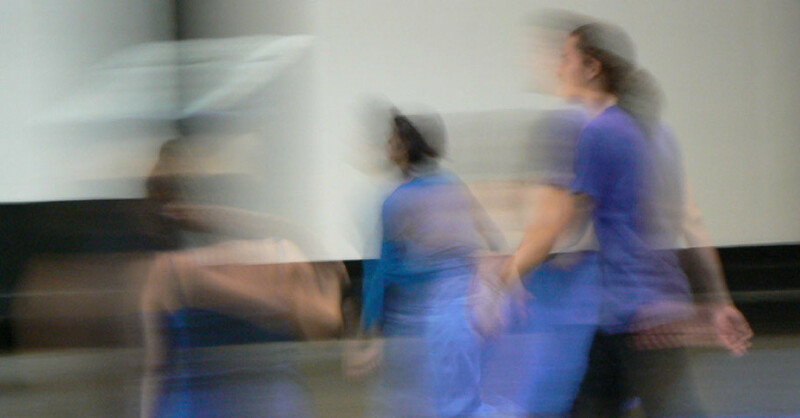 It proposes to observe and to live the language of movement in a direct relation to its environment, to sense the dance from the inside of the performance and to interact with the artists. SKIN invites around 30 dancers, 3 musicians and 3 video artists, selected by a wide open call, to work together and to welcome a public formed by approximately 100-200 people. SKIN happens in a neutral and empty space, it can be the lobby of a theater, a museum, a gallery, an exhibition space or a wide corridor suitable to host the meeting of the public and the artists. The size of the working group and the audience is in direct relationship to the size of the performance space. SKIN performance of one-hour length is prepared by the group of artists during the workshop TOOLS. The workshop is a vehicle to share with the group the understanding that, we all, artists and audience together are the creators of the space and each body presence is as worth as a spectacular dance. Diverse practices and ideas out of Contact Improvisation and Instant Composition and few structural cues, after a week of work, allows the group of artists to invite the public to be part of the performative happening, while respecting their ways of being in space, in stillness and in movement. During SKIN performance the interaction with the audience begins slowly. The audience is integrated in the composition of the space from the very first moment and is invited to interact in a subtle manner, through the respectful touch, suggested by the artists with their presence and simple actions. The installed space creates an atmosphere of open listening that will influence the non-verbal communication between the participants. The musician’s sounds build a living atmosphere, which is part of the interaction. The video artists are observer’s eyes that interacts with reality and records it at the same time, without pressing pause or stop, with their camera always on play, they capture the whole duration of the performance. The evening culminates in a frame for sharing, created to talk about the experience, where the artists and the audience may exchange, ask and watch together the video material recorded by the 3 video artists during the performance. Cultural Center “Alfa-Plastic” 19.07.06 and Theater Stas Nemin 22.7.06 in collaboration with the CI Festival Moscow in 2006, Moscow, Russia. CEC Center of Contemporary Expressions Rosario, Argentina on 18.02.07 in collaboration with “El Cruce 7- Arts Festival of Contemporary Scenes” and the Secretary of Culture and the Municipality of Rosario, Argentina. Halls des Chars, Friche Laiterie, “ Parlez-moi d’amor” in collaboration with Co Dégadézo and Flash Marionnettes, on 22.06.07, in Strasbourg, France. 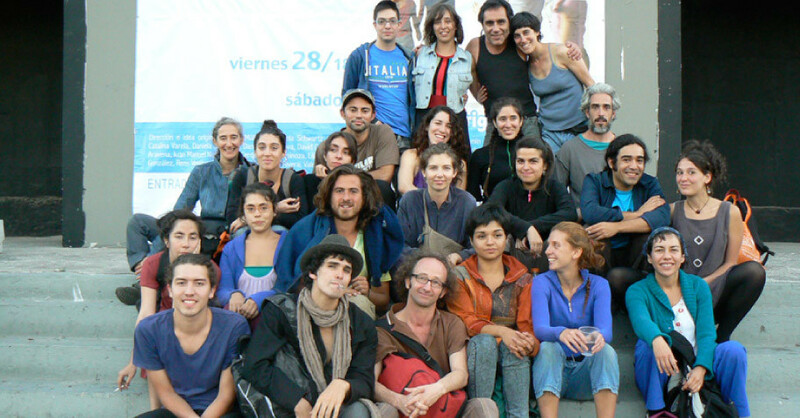 The University of Architecture, Montevideo, Uruguay on 15.03.08 in collaboration with Red Sudamericana de Danza and “ A ESCENA” program Secretary of Culture of Montevideo. Gessnerallee, Zurich, Switzerland on 20.04.08. in collaboration with Da.tanzda. Re:VISIONS Festival, Warsaw Poland on 3.12.10 & 4.12.10 in collaboration with Impact Foundation. Frigorifico “Baron”, Valparaiso, Chile on 28.01.11 & 29.01.11 in collaboration with Escenalborde, Arts Festival and the city of Valparaiso. The first 3 performances SKIN FREIBURG, SKIN MOSCOW, SKIN STRASBOURG were an opportunity to understand the needs and possibilities inside this open frame. The frame was not fully defined and the interacting with the audience needed more research. The first year was a learning process for us to figure out which tools we wanted to share with the artists in order to prepare them for a direct interaction with the audience and be ready to create a collaborative encounter. Since 2007 SKIN MONTEVIDEO every SKIN project is precede by the weeklong Workshop TOOLS for communication & interaction, which prepares the event. For the realization of SKIN in each new city we are working in collaboration with artists, local institutions and organizations. They form a bridge in the territory and generate the conditions in which the seminar TOOLS and SKIN performances can happen. SKIN seeks to generate a space for exchange, learning and collaboration among artists from different disciplines, a frame for the transferring of TOOLS for communication and interaction. This contributes not only to constructing the performance under our conception, but also leaves with the participating artists the experience and practice of new forms of approximations with the public through presence and dance. SKIN is a project of creation, research and cooperation. 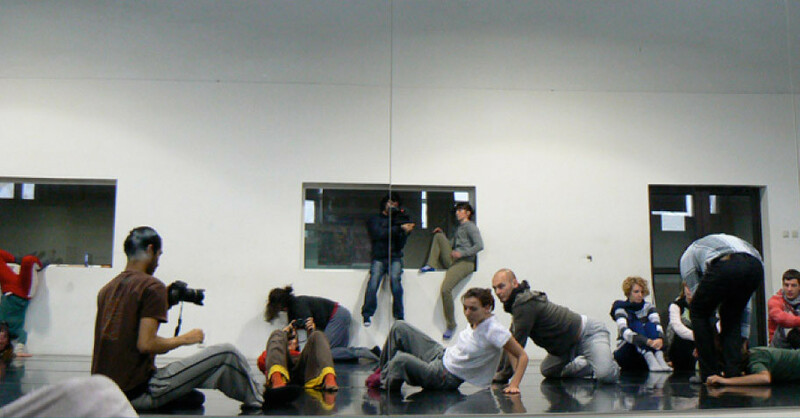 It is a fertile ground for generating a reflection on dance and learning through interdisciplinary practice. It is a frame for future collaborations among artists from diverse disciplines, regions and countries as well as an ideal framework for the exchange of practices, experiences, interests and the inception of new dance forms and cooperative working platforms. This project brings a collaborative mind that strengthens networks among organizations and artists, which facilitates the creation and realization of future projects. 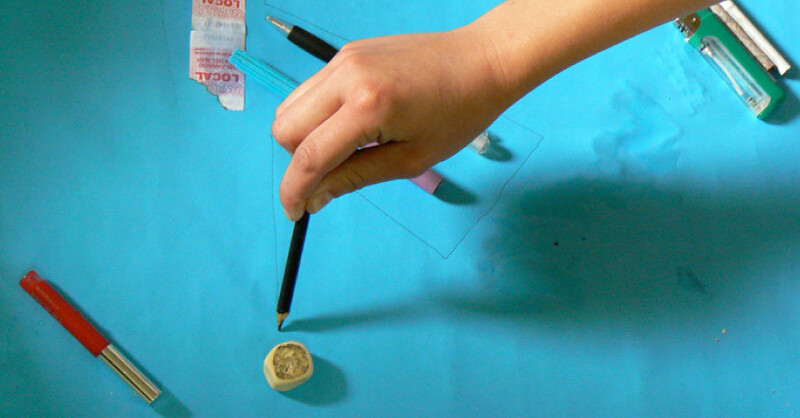 The collaborative nature of the project demands that participation in the TOOLS workshop and SKIN performance is free of charge for the group of selected artists. It is the aim of this project to be economically supported by Governmental Institutions, Cultural Foundations, Universities, etc, in order to happen. If you are interested in this project don’t hesitate to contact us!